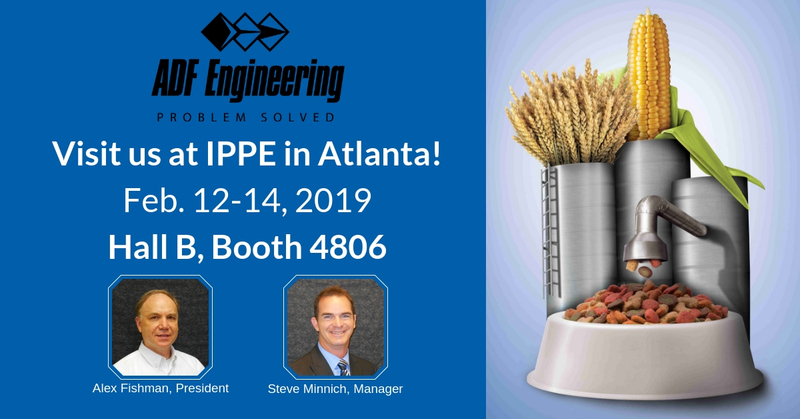 ADF will be exhibiting again this year at IPPE in Atlanta, February 12-14. Alex Fishman and Steve Minnich will be on hand to discuss ADF’s capabilities and expertise in the Grain Processing, Animal Feed and Pet Food Industries. We look forward to connecting with you at Booth B4806. Your partnership with an experienced engineering company can help your operations be more profitable. ADF Engineering offers extensive knowledge and a high level of Process and Facility engineering experience in Animal Feeds, Pet Foods and Grain Processing from process development thru operations. Every year, ADF executes over 400 value-driven projects. The client owned a facility that had been decommissioned for some time when they asked ADF to handle the work of renovating the outdated facility and designing an expansion. The facility was configured to utilize clean design practices in accordance with the client’s internal best practices. Using 3D laser scanning, ADF was able to fit equipment into tight space allowances in the existing facility, sometimes using tolerances of just 1/8 of an inch. The facility’s design philosophy brings the ingredients to the mixers with the least amount of co-mingled handling possible and minimizes the distance and equipment between mixing and bagging. The design will also minimize manual labor with a highly automated batching and dosing process, leading to better accuracy of ingredient weighing and less waste of expensive ingredients. Want to know more? Ask us about this project at the show!